Nemes’s brave Hungarian nightmare narrative offers surreal experience containing a hard kernel of truth. 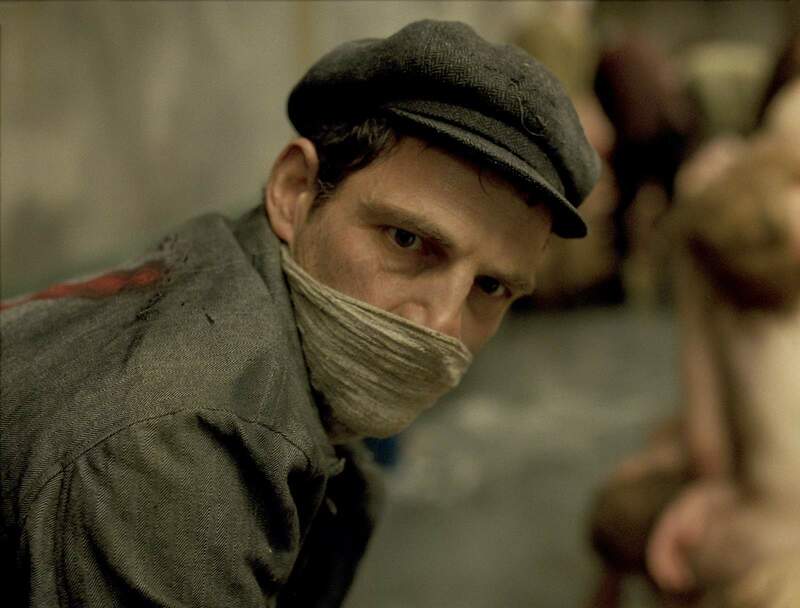 “Son of Saul,” the first feature-length film by Hungarian director Laszlo Nemes, offers a very unusual take on the Holocaust by delving into the behind-the-scenes logistics involved in genocide. It follows Saul Auslander, a Jewish prisoner at a German death camp who is forced to work as a member of the Sonderkommando, burning and discarding the dead. At the beginning of the film, Saul (Geza Rohrig) encounters his own son among the bodies he’s sorting and resolves to perform a traditional burial for the boy. Nemes keeps everything as simple as possible with few characters, limited dialogue and an authentic plot. Nemes consistently opts for simple camera work. Much of the film consists of tight shots of Saul’s gaunt face, dignified and stoic, beautifully shot on 35 mm. From the start, the soundwork is chilling. In lieu of a score, audiences are forced to rely on percussive gunshots, harsh commands and infrequent, hushed conversations between prisoners. We spend vast swaths of time in silence, and all of the dialogue is either screamed or whispered, making for an intense viewing experience. The decisions to scale back sound also force us to pay close attention to what’s happening off camera. While we watch Saul rifle through the coat pockets of new arrivals, we begin to detect a faint banging that becomes an unbearable roar, realizing it is the pounding of fists on the door from the inside of the gas chamber. Nemes manages to cover inherently tragic subject matter without making the film seem sad or invasive. To keep the film from feeling emotionally manipulative, Nemes uses as few gimmicks as possible. This use of understated drama, rather than melodrama, with respect to such serious subject matter is immensely surprising and should be commended for its originality. “Son of Saul” has a lot to say about sadness, namely that it is a luxury not afforded to all. From a safe distance, the modern day audience can appreciate the undeniable sadness of the Holocaust, but in the world of Saul’s hellish work there is no place for grief. Saul must behave robotically and efficiently throughout the entire film. To display emotion would be to put his life at risk, and his quest for a traditional burial is the only expression of appropriate grief he is allowed. Nemes does something much more interesting than evoke sadness in viewers — he makes them afraid. He rejects the sadness experienced in our discussion of the Holocaust in favor of the total fear experienced by its actual victims by focusing in on one man’s experience, over the course of only two days, participating in the grotesque grunt work of the Sonderkommando. With a no-frills approach to filmmaking, “Son of Saul” transcends the genre of historical fiction.